Pay-per-click advertising is an internet advertising technique that helps to generate clicks to your site. It is an effective way to drive the traffic to your website using relevant keywords related to your services and products. This is a paid traffic and an advertiser will pay an amount to the publisher every time the ads clicked. If you are unable to manage the pay-per-click campaign, you should hire PPC services Delhi from the best PPC company. Here are some important steps to run a successful pay-per-click campaign. It is a very important step to set the goal of your campaign. Ad goal will assist you to drive your campaign effectively. Recognize your ad goal and keep it in mind whether planning your campaign strategy. Your ad goal may be lead generation, brand awareness and to boost the traffic and sale. For every goal, you should plan your ad strategy that assists to complete your goals. There are different platforms available for pay-per-click ads such as Google, Yahoo and Bing and SMO platforms like Facebook. Select wisely your channel and plan your ad campaign strategy according to it. Google is the best platform for pay-per-click campaigns. Google AdWords is an advertising interface offered by Google that uses to plan and publish Google ads. After setting up your campaign goal and selecting the right platform for your ad, the next thing is to create your ad for the relevant audience. There are two kinds of targeting. You can target the audience for a particular geographic location and can optimize your campaign for a particular device type and wireless networks and operating systems. Keyword research is an uninterrupted and time-consuming activity. Creating your list of core keywords at the time of the campaign, you must always expand and refine your keyword list for lost cost, long-tail, and highly relevant keywords. Ad text plays a big role in the success of your ads. It is the best form of marketing communication that advertisers can use to promote their services or products on search platforms. An effective ad text comprises a minimum one of your core keyword, smart discounts and promotion and a call to action. The quality score of your ad depends upon multiple factors and your ad text is one of them. Your ad text must be alluring and unique. Ad extension offers additional benefits for your pay-per-click advertising. Use these extensions to improve your ad and to display extra information with your ads such as an address, phone number, or additional webpage links. Ad scheduling plays an important role in optimizing your ad strategy. You can display your ad every time a client searches online or you can display your ad on certain days or business hours. Your ads provide various performance result on various days of the week and different hours of a day. Further help, PPC services Delhi is the best place where you can know more things about pay-per-click. PPC experts will have the capability of handling the campaign fruitfully. Conclusion- Running a PPC campaign is not an easy thing, so you should have good knowledge of PPC. PPC experts can provide you with the best steps to create a successful campaign. 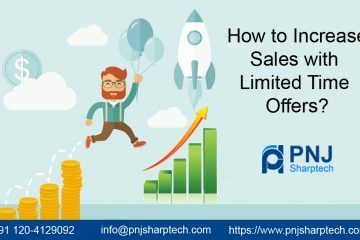 How to Increase Sales with Limited Time Offers? Which One is The Best for Your Business Google Ads or Facebook Ads? 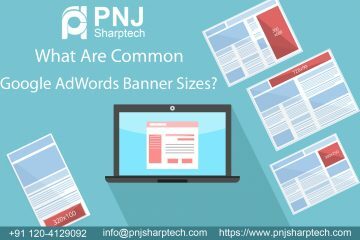 What Are Common Google AdWords Banner Sizes?